Somehow I find myself at marathon #20. I honestly couldn’t remember which number marathon I was on when someone asked me last night, and I had to really think about it. Amazing how the numbers run together; however, there is nothing about the actual races that run together in my mind. They are all so unique and special, and I have my very distinct memories and mental snapshots of each one in my mind and heart. Which brings me back to #20. This is a new experience for me, and as stated previously, I’m all about the travel and the experiences of running these races. I try to select my races to take me to new places that I want to visit, to spend time with friends on a running adventure or to have an experience that will be seared into the fabric of my being as something that changes me in a positive way. Marathon #20 is all about that experience. At the Bataan Memorial Death March, survivors from this chapter in WWII history make their way to the event, meeting the marchers/runners and speaking about their experiences first hand. Every year, there are fewer and fewer survivors to make the trek. That is what happens when you are 76 years removed from the march. So I decided that being there to meet some of these survivors first hand was an experience I could not pass up. 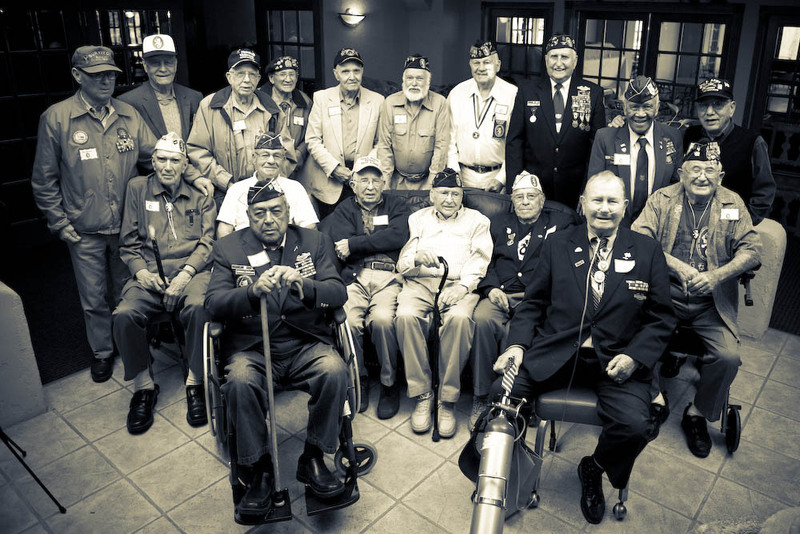 I look forward to meeting these men and thanking them for their service while also sharing in a very difficult course with other runners and ruckers, all of whom are there to honour those who lived to tell the tale after Bataan. Given that this is a ‘military’ event, I wanted to run this in honour and memory of one of the 22 Too Many Heroes who served the US military and was unable to overcome his battle with PTSD and a traumatic brain injury. Reading their stories never gets easier. I just want his family to know that he is remembered and honoured for his life saving work as a combat medic. 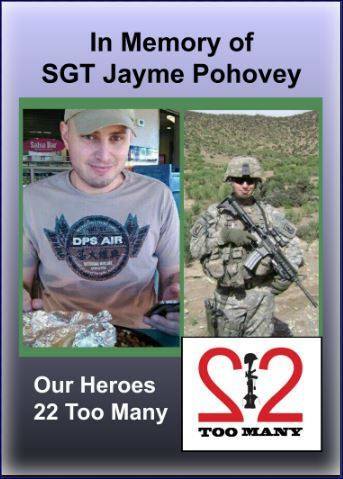 Jayme was tragically taken from us on Sept. 14, 2014, while active duty in the Army where he served for 12 years. His tours in Afghanistan were from 2007 – 2008 and again from 2010 – 2011. Jayme was a decorated hero – he earned ARCOM with V device for valor on his first tour in Afghanistan. Soldier of Fortune Magazine featured his story of heroism (on the cover) in their January 2008 edition. As a combat medic, he saved many lives. He grew up in Brewster and Canton, Ohio. Jayme liked to hunt, fish, play video games, and study history. He was stationed at the San Antonio Military Medical Center, where he worked as an emergency room medic. Jayme was 32 years old when he lost his battle with PTSD and TBI. He struggled for 7 years. He leaves behind a son, daughter and step-daughter. Jayme is buried at Arlington National Cemetery. Wow, this sounds like quite the experience. Best of luck! Thank you! It may take me a long time, but I’m looking forward to the whatever the weekend brings! You’ve always had a good heart for others. Thanks for reading my blog. It was my honour and privilege to bring Jayme with me at Bataan. I have a couple things to send you, which I will likely do when I am back in the US for a few days in mid-May. I hope it is a small reminder that he is remembered.